This legendary mushroom is probably the greatest barely explored ingredient in the kitchens of western culture. In terms of preciousness, dollars, and demand; only Italian white and Perigord truffles surpass it in the world. The face of any Japanese person to whom I’ve handed a matsutake always looks much like ours when we got our first bicycle. Every single time, with glowing face, they hold the matsutake with great care, lift it to their nose, and inhale deeply with closed eyes. Nothing in the world smells like matsutake. Words are feeble indeed for describing matsutake fragrance. Scratching the stem will remind you of spicy cinnamon with a good dose of piney woods and earth. Numerous Japanese dishes capitalize on the aroma by cooking them in casseroles or in rice (matsutake gohan). In this way a smaller amount of precious matsutake can permeate a dish and perfume the steam rising from the opened lid. Three things have unnecessarily slowed the progress of this great mushroom into western kitchens. The first is simply money. Historically matsutake have commanded knee-buckling prices. This is no longer the case, due to both the weakening Japanese economy and the increasing numbers of countries harvesting matsutake for export to Japan. Even now, over 95% of these mushrooms are shipped to Japan. In years like 2003, Korea, China and Mexico have had huge crops of the brown matsutake preferred by Japan. This has left the white matsutake of Canada and the U.S.A. as bargains in a more and more flooded marketplace. Even in years of high prices however, the open-capped(#3-#5 grade-see quality) are affordable for Americans. Since prices are based on Japanese auction prices, they can vary significantly based on demand and the important Japanese holiday schedule. These variants are now diminishing to the point that price should no longer be a major barricade to our kitchens. The insidious second reason is cooking technique. A horribly boring date could be had with the sexiest and most fascinating person if you chose to take them bowling, for instance. 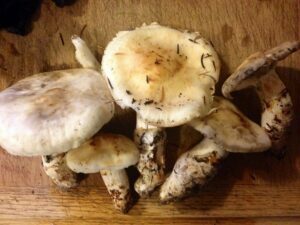 Likewise chefs have sautéed matsutake and wondered what the hoopla is about. This technique is not the path to the marvelous matsutake. A final obstacle is the unique character of this mushroom. It is not for the faint-hearted chef. Its flavor is so unlike most familiar western mushrooms that it demands a different cooking vocabulary. It is eagerly sought my customers who are chefs of great imagination (Thomas Keller, Daniel Boulud, Traci des Jardin, Kory Lee, etc) but it remains puzzling to most others. This is a terrible shame. In Japan the matsutake is profoundly loved. Its treasured role makes it one of the ultimate gifts in that gift-giving culture. Matsutake’s revered status is complex and difficult to fathom. It is emblematic of the richness of autumn, with nuances of the fertility of harvest time. An ideal number one matsutake in its wooden presentation box is a distinctly phallic form, accompanied with fern sprigs and light coating of earth. As the red pine forests of Japan shrink from population growth and the pine nematode, very few in Japan can hunt their brown matsutake in the old traditional way. Instead, mushroom pickers in Korea, China, North America (including Mexico) and Morocco (Atlas mountains), wander the woods for them. Our Canadian and US matsutake are white in color unlike the brown matzies of Japan and most of Asia. Here in North America, there are interesting cultural associations with matsutake. While hunting mushrooms in northern California about thirty years ago, I met two Hoopa (a native American tribe) men, Rowdy and Albert. They loved mushroom hunting too. In my mushroom book they pointed to a picture of a matsutake and explained how much the “old people” love them. The Hoopa are one of the rare Native American tribes with a long mushroom hunting tradition. In North America again, a very strange and bittersweet story involves the Japanese internment camps in WWII. In camps in Colorado, Wyoming, and possibly Tule Lake, California; internees taken out as logging labor began to find matsutake during their lunch breaks in the forest. For many years, Japanese-Americans (and the Hoopa) had these mushrooms all to themselves. In Mexico, the mushroom loving natives of Chiapas and Oaxaca have been exporting their brown matsutake to Japan. The highly desirable brown capped matzie has produced a nice income for many rural people with the added bonus of creating a strong incentive to continue to protect their forests. 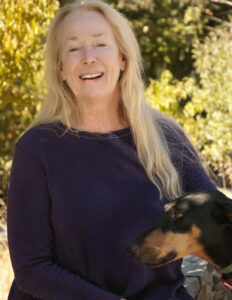 Thank you Constance for your beautifully written article. One of my New Year resolutions is to grow mushrooms this year. Could FantasticFungi do an article on, or post a list of, good mushroom-growing books for the amateur, please? Thank you for the article. I am curious about cooking the matsutake since you imply sauteeing is an honest mistake. Thank you for this lovely introduction. I will search markets for this Sharon and google recipes. Im so intrigued. And I didn’t know that about Japanese internees and logging slavery. Sigh. I’m happy to read about their finding treasure in those particular dark woods. I so enjoyed this article, thank you. you inspired the desire to get to know the Matsutake! Expected information on foraging since that was primary in the title. Will check the famous chefs for cooking; though I did learn not to saute them. Mostly an article of adjectives praising the shroom. I’ll check out the other articles on this site and hope they are more useful. Great descriptions of Matsutake ‘Shrooms Constance! Up here in Colorado, I too heard the stories about how WW2 Japanese Americans in Internment camps first found Matsu’s in Colorado. However, this year while Matsutake hunting I met a local historian, who said actually it was WW2 Japanese prisoners held at the POW camp at Deadman Mountain who first discovered Matsu’s near the Red Feather Lakes of Northern Colorado. The historian also said after the war, the prisoners returned here to live with their families.